Where Can I Find Tungsten Toe Weights For Taylormade Rocketbladez Max Irons? I was just able to chat with a TaylorMade customer service rep, and he said that they don't carry them because they are a part of the head of the iron, and are not a replacement part. I'm assuming the fact they are an older club 5+ years old, they don't have them either. I went to their website and their chat feature is "temporarily" down. They don't take email questions, so the only option is to phone them. I have yet to do that, as I was at work and didn't want to be put on hold for a long time. I'll try them shortly, once I find out what their customer service hours are. I was cleaning my irons yesterday and noticed that two of my irons were missing tungsten toe weights. I checked the internet and can't seem to find anybody who carries them. Any ideas or thoughts on where I can find them? See pic of my iron missing a weight. A Bridgestone J15 Satin 60 degree wedge and FootJoy Winter gloves. As it's zero degrees and snow on the ground in MN, I won't be able to try my new toys out until this Spring. Anyone enjoying the drink tonight? Just finished a Bourbon Barrel Quad by Boulevard Brewing. DELICIOUS! Do you pick up a club someone has left behind? Why play a 95 gram graphite shaft? I noticed that on Golf Deals and Steals they have a set of Taylormade RocketBladez Max graphite irons on sale. http://golfdealsandsteals.com/taylormade-rocketbladez-max-iron-set-graphite-4-aw/ The shaft is a custom graphite Matrix Ozik Program F15, 95. I like my current graphite irons that have a 65 gram shaft. I thought part of the reason you played graphite shafts is because they are lighter. 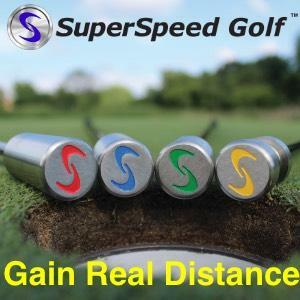 What is the advantage of a 95 graphite shaft vs. a 95 steel shaft? Why not just offer those irons in steel and be able to charge less? I guess I'm not sure why someone would want that heavy of a shaft in graphite (and not just buy them in steel). I'm a golf novice when it comes the science behind shafts, weights, etc. (so go easy on me with your answers) Thanks in advance for any advice you can give me. MNGopher replied to RFG1022's topic in Balls, Carts/Bags, Apparel, Gear, Etc. The shortys are 2 inch tees. I actually have all 3 styles (regular, step-up, and shortys). The step-ups have replaced my regular ones, but I use the shortys for par 3s. Martini step-up tees. Consistent height every time and they never break!